The vast majority of businesses struggle with sales. Sales is a unique part of every business because it really is the ‘soft’ side of business – difficult to understand and difficult to measure. If you have a problem with the finances then you bring in an accounting expert, if you have a problem with shipping you bring in logistics. There is a clearly defined expert for most areas of business who can apply proven processes to fix almost any problem. 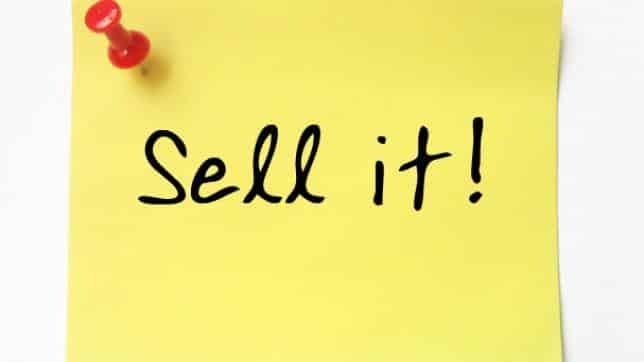 The selling side of the business is not so easy. Here are the cold hard facts of selling! I know because I learned my selling by actually selling – living on straight commission year-after-year and earning more than any of my peers! There are only two real sales problems for the vast majority of businesses. Those two things are sales process and selling skills – these are two very different things. Sales process is the proven step-by-step actions that lead to selling success! The better and more evolved your sales process the easy job your sales force will have of selling. The more evolved your sales process is the more effective your sales training. If you have a great sales process then you can hire salespeople with almost no experience and train them to sell effectively. If on the other hand you lack a quality sales process the very best salespeople will struggle. If you want to fix your sales problem this is what you do! 1) Understand what works. Take a moment to think about the times when things did work – what happened? What steps were taken? Who did what and what resources were needed? Those steps are your sales process. Repeat that process as accurately as possible introducing and testing small changes over time until you have a strong, repeatable system that works. A sales process should be fully documented with regular measurements taken on all key performance indicators. 2) Don’t invest in under-performing salespeople – fire them! The big secret in the sales training world is that sales training doesn’t work on under performing salespeople. If your company lacks a strong selling process (as most do) then all the effort put into turning you mediocre salespeople into average performers will be completely and utterly wasted. Average salespeople without a sales process are almost guaranteed to fail. Sure, if they create enough activity then something will happen but this is ‘chance’ not ‘process ‘and is not repeatable in any kind of systematic way. Without a sales process most salespeople are grasping at straws desperately trying to keep their job. Fix the process first, next look at your sales team. Studies have proven that average salespeople’s performance is only marginally improved by sales training whereas top performers benefit significantly by sales training. This shouldn’t be a surprise. Imagine a completely out of shape, massively overweight person and give then the best personal trainer on the planet. What can they achieve together? Not much really. They will be so bogged down on the basics that the skills of the trainer are all but wasted. Now imagine the same great trainer with a great athlete – now things are going to happen! Most companies get this completely in reverse – they train the losers and ignore the winners with the result that the losers stay and become mediocre and the winners leave because they feel under appreciated. The result is a culture of failure. 3) Hire the best and then treat them like winners. Where do you find the best salespeople? It is easy they are working for your competitors. Pay them more and treat them better and they will work for you – simple! Forget trying to save money by hiring fresh university graduates, as you will almost never recoup the opportunity cost! Let your competitors waste money on training programs and steal the success stories. Hire the best. The best salespeople are generating the majority of sales wherever they are. Steal them away! Once you have hired the best watch what they do, document what they do and build it into your sales process. Over time your business will get stronger and stronger.